At least two people have have spotted bears in McLean, Virginia recently, Fairfax County Police said. Authorities have received calls about the sightings. 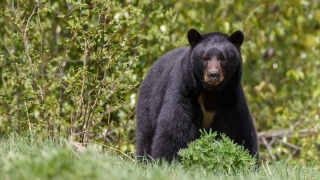 In the more recent incident, a bear was eating from a bird feeder in a backyard in the 7800 block of Langley Ridge Road around 6 a.m. Wednesday. In another case, a bear was spotted was spotted running into the Scotts Run Nature Preserve in the 6600 block of Potomac River Road. Police and Fairfax County Wildlife Management specialists say this is not unusual for this time of the year. Officials are asking the public to keep trash cans secure because bears are now looking for food, and if they can't find any, they continue to search the area.